Penetrometer 200 kN Stand Alone is designed for mounting on User's own platform. 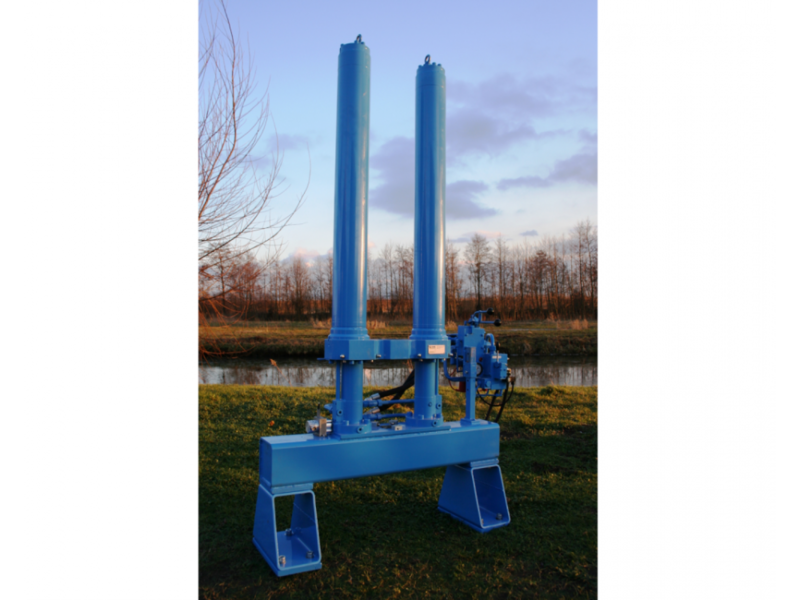 Two vertical hydraulic cylinders with cover protected pistons, stroke 1350 mm. Hydraulic catching clamp integrated in sounding beam. 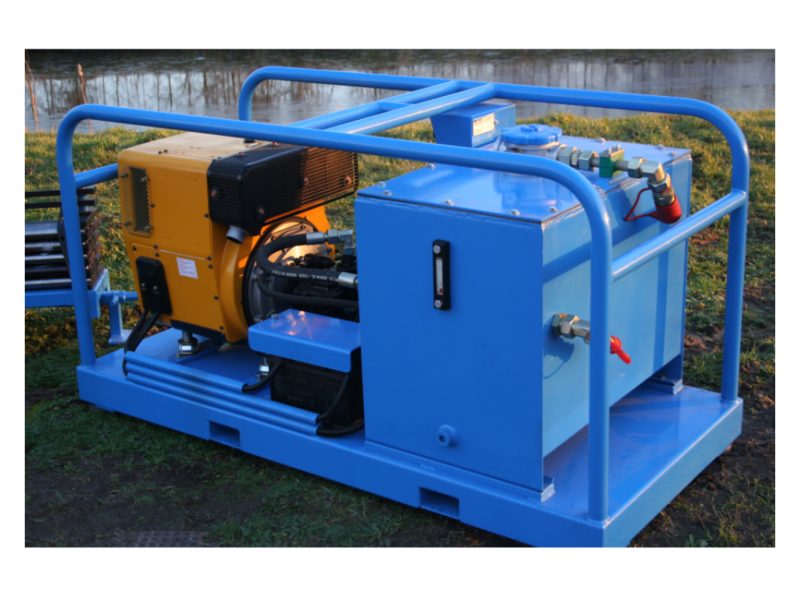 Hydraulic control unit (complete with connections), for controlling all functions. Can be mounted on seperate console or at pusher. Max. push/pull force: 200/260 kN. Max. push/pull unloaded speed: 105/145 mm/s. Performance speed: 20 mm/s calibrated for CPT. Total weight: approx. 610 kg. 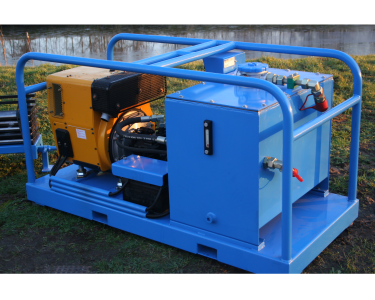 Air-cooled Hatz 1-cylinder direct-injected diesel engine of 9.5 kW @ 2800 RPM. Heater plug installation for starting until – 25 °C. Installed on 4 shock-absorbing supp orts on a separate skid. Fuel tank of 21 liters. Battery 12 Vdc / 60 Ah and electric starter. 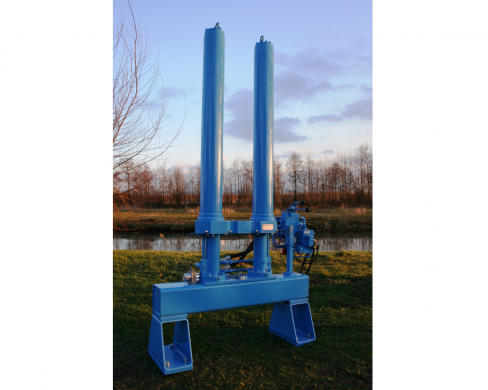 Hydraulic tank of 150 liters of volume. Penetrometr 200 kN Stand Alone is designed for mounting on User's own platform.